Dr. Yashwant Singh did his B.V.Sc & A.H, M.V.Sc and Ph.D (LPM) from CCS, Haryana Agriculture University, Hisar in the year 1994, 1996 and 2000 respectively. He was awarded University merit scholarship during M.V.Sc and also awarded Senior Research Fellowship by Council of Scientific and Industrial Research, New Delhi during his Ph.D programme. He presented University (CCSHAU) in various sports championship and has got University merit certificate for outstanding performance in handball. He qualified National Eligibility Test (NET) conducted by ASRB, New Delhi in the subject of LPM and Animal Nutrition. He served as Assistant Professor of LPM at College of Veterinary Science, Mathura (UP) under CSA University of Agriculture and Technology, Kanpur from December 1998 to October 2001. He worked as Assistant Professor in newly established Uttar Pradesh Pandit Deen Dayal Upadhyaya Pashu Chikitsa Vigyan Vishwavidyalaya Evam Go Anusandhan Sansthan, Mathura from October 2001 to March 2006. Dr. Yashwant Singh served as Associate Professor and Head, Division of Livestock Production Management at Faculty of Veterinary Science and Animal Husbandry, R.S. Pura under Sher-e-Kashmir University of Agricultural Sciences & Technology of Jammu from 2006 to 2008. He joined the GADVASU in September, 2008 and served as Animal Scientist at Veterinary Polytechnic and Regional Research & Training Centre, Kaljharani from January, 2009 to August, 2015. He has been actively involved in teaching of various courses of LPM and has guided one M.V.Sc. student. He has his credit more than 50 publications including research papers, reviews, technical and popular articles. He has also authored four laboratory manuals on animal management. He worked as PI & Co-PI in various projects funded by ICAR and other government agencies. He is member of many national scientific associations in the field of animal production. Dr. Yashwant Singh also discharged responsibility of principal, Veterinary Polytechnic, Kaljharani and Incharge, Regional Research and Training Centre, Kaljharani (Bathinda) Drawing and Disbursing Officer, Librarian, Chief warden of Veterinary Polytechnic. 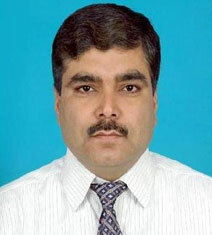 Presently he is serving the University as Deputy Director (Training) Krishi Vigyan Kendra, S.A.S. Nagar (Mohali) since 1st September 2015.